It's available at Yoox.com only in European sizes 38 and 40. The price? Well, it's priced at $235, which is about 35% off the original price of $360. This is the perfect opportunity to add some Margiela to your wardrobe! As most of you know, there are many high-end designers collaborating with stores such as Target, Walmart and JC Penney to create affordable designer lines for the masses. When I initially heard about the Norma Kamali line at Walmart, I wasn't all that excited. This was partially due to the fact that I've rarely ever bought clothing from Walmart. I still went ahead and visited Walmart.com to see what the Norma Kamili's line had to offer. 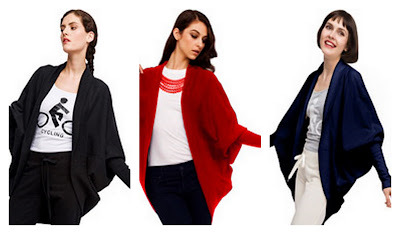 There were a few standout pieces but I immediately fell in love with the Athletic Batwing Cardigan. The batwing sleeves coupled with the cocoon-like shape created a sweater like any other I had ever seen. Unfortunately, they were all sold out. So, when I saw it in person on Black Friday, I was beaming because a) it was the only one in the store and b) although it was a medium, it fit like a glove! The quality was much higher than I had expected. Although it's cotton-blend jersey (think PhysEd uniform), I could envision dressing it up or down. I've already worn it with skinny jeans as well as tweed shorts and received many compliments on both occasions. I went to Walmart.com a few days ago and noticed they had restocked the cardigan and in every color! I currently own the black but now want the red and cobalt blue. It is also available in light pink, light grey, dark brown and cream. Now, if you plan on ordering this cardigan, I suggest you order a size down. I'm normally a Large but, as previously mentioned, the Medium fits perfectly. It's available for $18, which means that you can afford to get any and every color your little heart desires. That being said....Happy Shopping!! 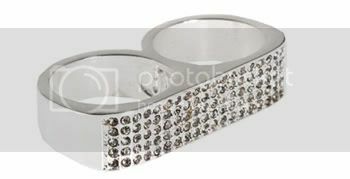 As we all know, two-finger rings were first introduced to the mainstream in the late 80s and are prevalent once again in the new millennium. This time around, it seems as though more "every day people" are taking part in the trend. 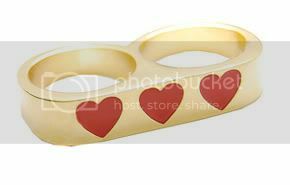 This is partly due to the fact that there are some jewelry designers incorporating their own unique flair into the original ring to make it more appealing to a broader range of fashionistas. The prices for the Twosomes range from $65 (for the Classic Cosmo Twosome) to $144 (for the Classic Sparkle Twosome that is encrusted with 100 Swarovski crystals)! P.S. 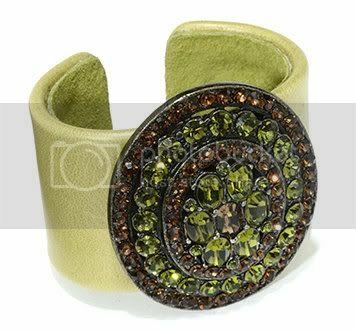 There is also a small selection of Erica Anenberg jewelry at CoutureCandy.com. 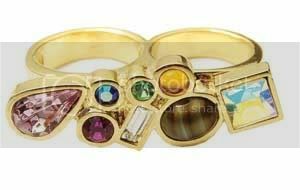 Here you may come across slightly better prices and larger ring sizes. It's my girl Shana! 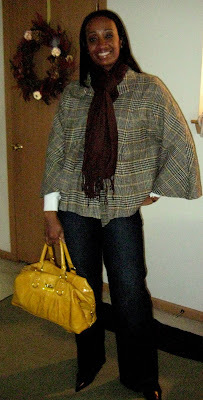 The plaid belted cape with the yellow handbag is perfection. I've had many conversations regarding where to find the perfect down coat (a.k.a. "puffy coat"). Although we want to stay warm, we don't want to look like oversized snowmen! 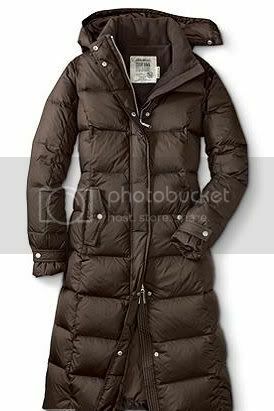 Fortunately, I was able to find a fabulous Michael Kors down coat a couple years ago that's practical yet fashionable. If you're wondering what makes a puffy coat fashionable, there's one simple answer....FIT! When searching for the perfect winter coat, it is very important that it accentuates your curves if you have them or creates curves if you don't. It's always best to try coats on before buying. 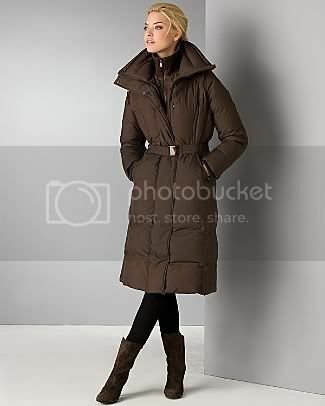 My favorite places to look for coats are Burlington Coat Factory, TJ Maxx or online. When shopping online, there's no opportunity to try before you buy. Therefore, it is important to look for key words within the description such as "belted in the waist", "contoured waist", "panel (or band) around waist" or "princess seams". These are great indicators that the coat will not be straight and boxy. A belt or panel around the waist will cinch in the coat at the smallest point of your body (for most). And what are princess seams? 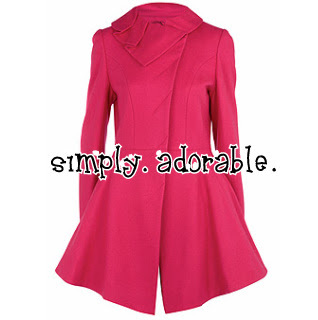 If you notice the seams of the coat are creating a shape like this -> )( , you've got you a winner! Below are some perfect puffy coats that I've seen online recently. My goal was to find coats that were available in a variety of sizes...you know I have to look out for the women that are size 14 and up. So, if you've had problems finding a form-fitting down coat, check these out for a little inspiration. I've always heard about the One of a Kind Show but never had a chance to attend. So, when I received complimentary tickets this year, I knew it was the perfect opportunity to check it out. 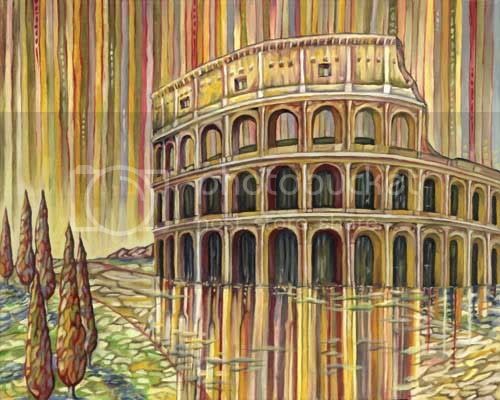 Over 500 artists selling everything from paintings and sculptures to clothing and jewelry?! I honestly didn't know what to expect. I must say it was a fantastic event! I attended 2 days in a row for approximately 2 hours each day and STILL didn't have time to check out everything. Here's a little glimpse into the Good, the Bad and the Ugly from my One of A Kind Show experience. The One of a Kind Show is the perfect place to find gifts for people that have EVERYTHING....while making a few purchases for yourself, of course. ;-) Almost all of the vendors were selling items I had never seen before. There even was an Etsy Pavilion (aka "Heaven on Earth", at least in my mind) showcasing Etsy artists. This is why it takes so long to see everything. Every booth draws you in and forces you to spend at least 15 minutes admiring everything and contemplating purchases. - Rebel Designs: Everything in this booth was tres chic! 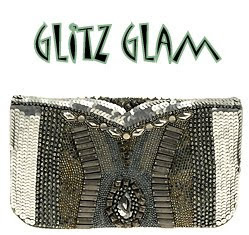 My favorites were the handbags and the embellished leather bracelets. 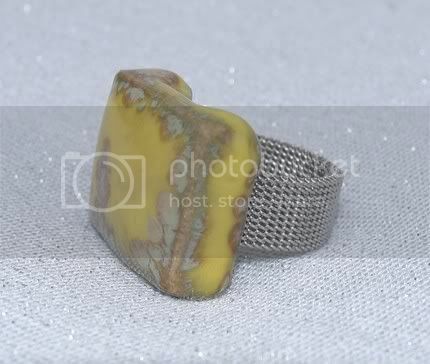 - Cerese D: Lovely handcrafted jewelry. I immediately fell in love with the bold necklaces. - Dandy Craft: Unique ceramic jewelry with my favorites being the bracelets and rings. - Lumiere Designs: Adjustable necklaces, dare I say neck cuffs, that look SO funky. I almost walked away with 2 of these. - Poési: Delicate and feminine jewelry. 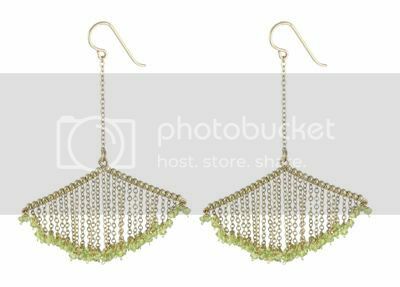 Some of the most unique dangle/drop earrings I've ever seen! - Gigi Bijou: Handmade paper jewelry. The earrings were my favorites and Gigi is one of THE coolest people I met at the show! - Pencil Lady: An array of items constructed with pencils. 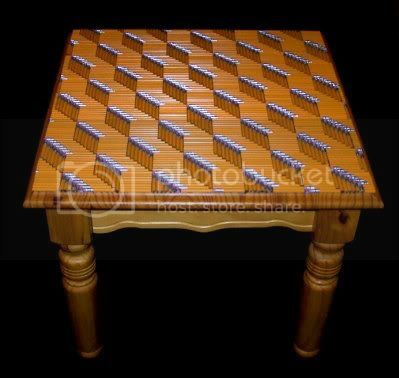 The furniture creations are definite conversation pieces. - Mary Pat Wallen: Amazing wall and 3D sculptures. I'm 100% sure that when hubby and I buy a house, her work will be one of the first in our home. 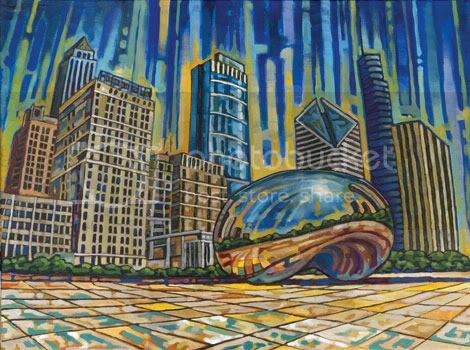 - Anastasia Mak: Beautiful artwork of monuments in Chicago and abroad. I fell head over heels for all of her European prints! I'm not usually one to criticize or complain on my blog but the level of disappointment and disgust I experienced with one of my purchases has prompted me to do so. When I confronted the vendor, she initially said that the extra costs would've otherwise been paid for shipping costs if I ordered online. Huh? 30%? I've never even paid that much when purchasing items from overseas. Then she goes on further to say that she's from New York and that it costs to participate in the show. I simply told her that she could either refund me the difference or take all of the items back so that I could order online. Although, she eventually refunded me the difference, her reaction was very unpleasant, to say the least. I will not say that this has tainted my view of the show or the other vendors. However, I WILL say that her unprofessionalism and disdain response was highly unacceptable. I can only imagine the number of consumers who unknowingly dished out their hard-earned money to purchase her items at a premium. Simply. Ridiculous. Sorry, but I won't say at this time. I still feel uncomfortable putting people on blast...I guess it's the God in me. :-) I will, however, contact the wonderful people behind this magnificent event to let them know. Lately, I have an affinity for boots with hardware. Needless to say, the Braxton Boot by Dolce Vita is no exception. I absolutely LOVE this boot! 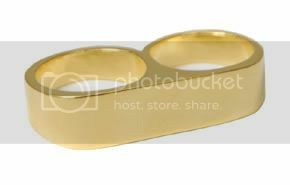 The rocker chic look as well as gold hardware are characteristics very prevalent in footwear nowadays. I also appreciate the fact that it can instantly ramp up a simplistic outfit (ie: all black). That's music to the ears of people like me that wait until the last minute to decide what to wear for the day. Keep in mind, however, that this is NOT a boot for one who wants to blend into the background. You WILL get noticed...in a good way, that is. 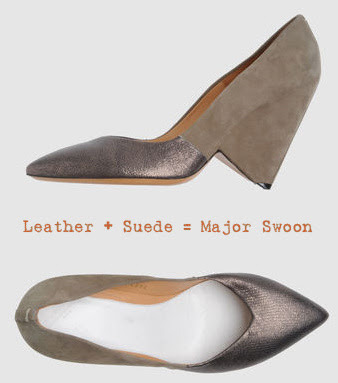 Head on over to shopdolcevita.com to pick up a pair OR just add it to your Christmas wishlist. I'll put in a good word to Santa for ya! My TJ Maxx Shopping Spree Inspires! As you may or may not know, I won a $250 TJ Maxx gift card giveaway at Afrobella.com. Afrobella (aka Patrice) and I had a BALL shopping for cold-weather-chic items. We both went over the amount of our gift cards, which I already figured would happen since TJ Maxx has so much good stuff! Check out the videos below to see my tips on winter accessories as well as all the items I purchased during my shopping spree. Then, let me know what great items you've found at TJ Maxx recently. I just love hearing about bargains!